Nanotechnology has revolutionised the field of environmental sciences. A typical example is the application of nanotechnologies in water remediation and treatment, through the adsorption of pollutants (e.g. heavy metals), removal and inactivation of pathogens, and breakdown of toxic materials. Nanomaterials have been also incorporated in nanostructured catalytic membranes for enhanced water treatment. Nanomaterial properties, such as shape, composition, surface functionalisation, and integration in composites play a key role in the effectiveness of such technologies. Creative Nano has collaborated in environmental nanoremediation projects utilizing nanomaterials, such as titanium dioxide, carbon nanotubes (CNTs), zero-valent iron, dendrimers, and silver nanomaterials. Our team comprises of skilled members with more than a decade experience in the field of environmental nanosciences. We have worked with large consortia in tasks related to nanoremediation, the development of nanometrology techniques, analysis protocols, quantification of the nanoparticulate fraction in underground and surface waters (lakes, rivers, oceans), and the development of methods for characterizing nanomaterials. 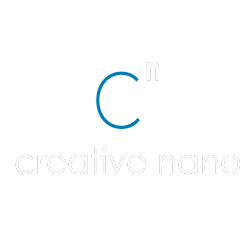 Creative Nano is currently involved in national and international projects related to the detection and characterisation of nanomaterials in the environment and their release from nano-enabled products. Synthesis, functionalisation, and characterisation; nanomaterial surface modifications for capturing chemical compounds (e.g. air pollutants); removal of hydrocarbons from solid or aqueous environments and metal ions from contaminated water. Synthesis and characterisation of mesoporous materials; synthesis of nanocrystals for sediment remediation. Metal – organic complexes for capturing heavy metals; nanoporous silica sorbent for removal of contaminants from industrial waste. Solvatochromic behaviour of complexes; nanomaterials incorporation in environmental sensors. Design and implementation of sampling and analysis strategies; development of protocols for safe handling of materials in the workspace; production of safe-by-design processes for manufacturing. Volunteering our time and efforts fill us with energy and inspire us to excel in our work. Such activities include the cleanup of beaches from plastic waste and supporting the EU Nanosafety Cluster in establishing an open platform for multi-stakeholder dialogue on all aspects of nanosafety.